For the northern hemisphere – we are entering that strange period where we emerge from our off season caves dying to start training yet paradoxically living in dread of falling ill from some evil fitness eating virus (aka the common cold or flu). There will be some days where it is just too dangerous to venture outside e.g. high winds, snow and/or ice on the ground. In these situations do NOT play the hero card and brave the elements – you run the risk of coming of having a bad spill and breaking something. Simply not worth it. A simple rule of thumb that works for me is if I see the windscreen of my car frosted over – I scrap my outdoor cycle in favour for an indoor session but you guys will know your own weather signs/personal limiters – listen to them! In these scenarios – look at alternative indoor options such as your using your own turbo/smart trainer, treadmill or even a simple strength and conditioning session. All of will go some way to banish the “inner voices” that are trying to convince you that you will lose 3 months of fitness over one missed bike session. Spoiler alert: you don’t lose fitness that fast! Even though I eat fairly well during the year – I make a concerted effort during the winter months to load up on fresh fruit/vegetables to give my immune system the best kick up the a$$ it can get. For me this is as simple as taking on board lots of vitamin C – ideally via grapefruit and oranges or worst case via juices/smoothies. Again not a winter specific best practice but does become slightly more important in the sense that if you do not rest/recover properly during the colder months of the year – you are giving the viruses a better chance to take hold. Respect your rest days and recovery cycles! Even with the best precautions– there is the still the risk of germs getting the upper hand. In this case – best to catch this early and take an extra couple of days rest. Yes winter is a scary time for us triathlete folk with the constant fear that every germ is hell bent on derailing our pre season training. 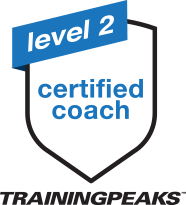 The good news is it need not be – with a little common sense we can lose the minimal amount of quality of training without having to lock ourselves in a protective bubble. Cup of green tea anyone? Realising this fact, Steven abandoned his cubicle and moved into full time coaching. 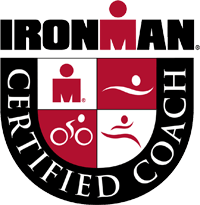 Steven is now Ironman U, ITU and Training Peaks level 2 certified and in 2017, was awarded Triathlon Ireland Coach of the year.